New Winter 2018: The great moments in basketball Christmas ornament is uniquely designed to capture hardwood, hoop and ball! This is a hand personalized basketball player ornament includes the player’s information, but lettered by hand in a stylish font. The result is a personalized sports ornament unique for each recipient. It is part of a collection of sports ornaments that include versions for football and baseball too. 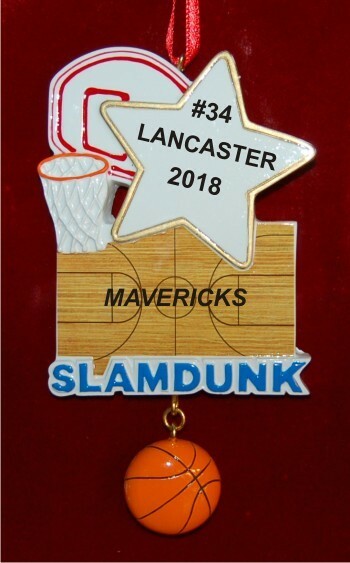 The basketball ornament personalized by hand is a fun and affordable gift for your favorite player or the whole team. Celebrate effort, success and a love of the game with the personalized basketball ornament from Russell Rhodes.